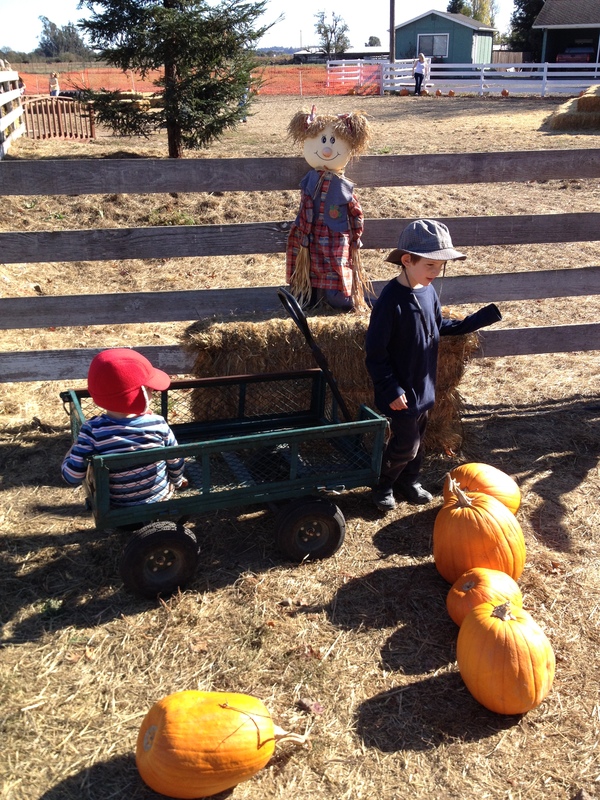 Sunday we went to the pumpkin patch with the boys, Dana and Rich. Oliver was very excited to pull the wagon, and Patrick was thrilled to ride along. 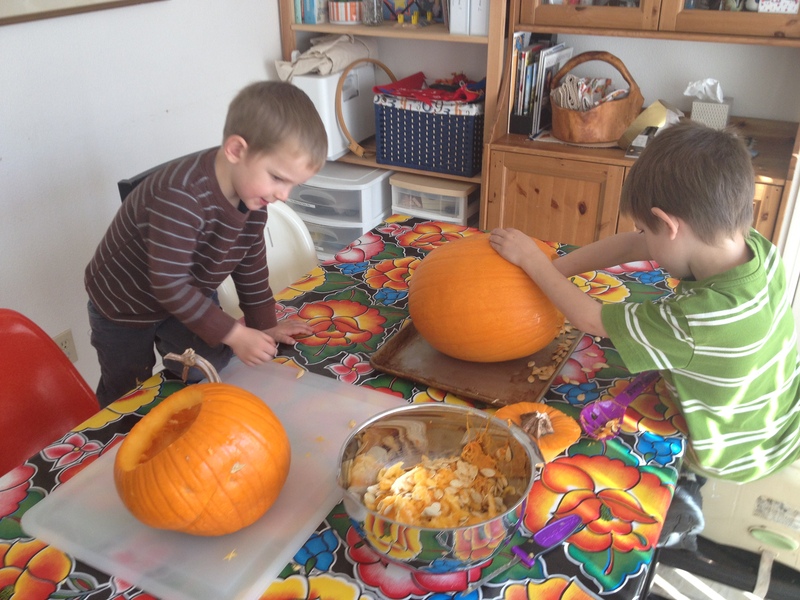 They each picked a pumpkin, and today we carved them. 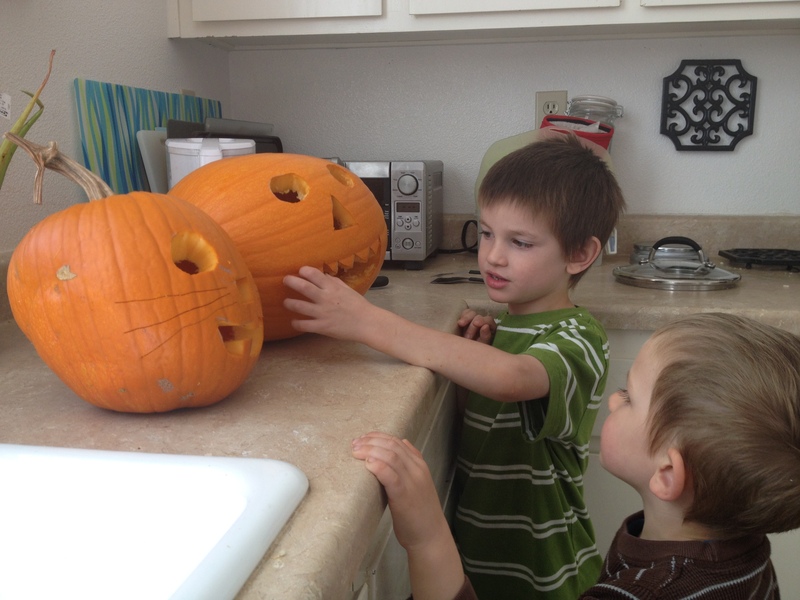 Oliver was very helpful at scooping out the goop, and had very specific ideas about what he thought the faces should look like. Oliver insisted on round eyes, and Patrick wanted his to be a kitty-cat, so I added some whiskers. The pumpkins are now outside, I may, or may not, put candles in them. remember, remember, it is now November!